ART HOUSE PROJECT will select up to 40 participants to join TRANSFORM-ARTE. Up to 30 participants will be of visual arts. ARTHOUSE PROJECT is a regional working and internationally cooperating platform for art and creativity. It is a playground for aspiring as well as established artists of the fine arts and beyond. We combine local streams of artistic expression with international movements, social themes with cultural expressions. Through the online network as well as within the framework of events, we give artists and innovative projects the opportunity to present themselves. We promote self-professionalization as well as cooperation as key factors in the global art market, and its fusion with other areas. TRANSFORM-ARTE is designed/conceived as an art fair of a different kind, with focus on presenting contemporary art and artists in combination with creative approaches in scientific work, as well as artistic bodily expressions in which visitors can participate. 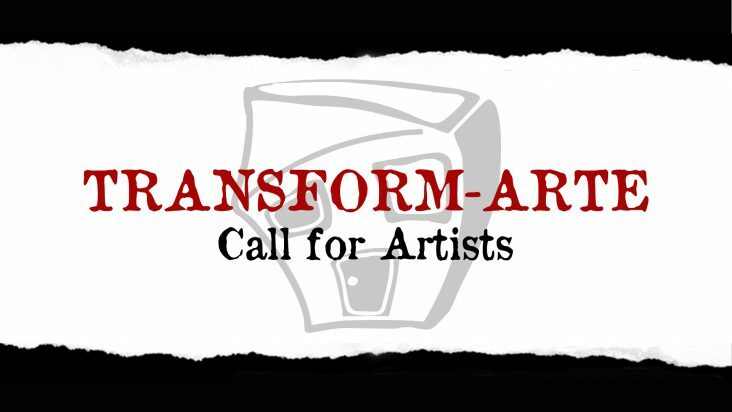 TRANSFORM-ARTE focuses on showing and using the arts inherent transformative force beyond borders, challenges the imagination and asks for creative action of the participants. With this event the building will be revived, following the aim of ART HOUSE PROJECT to use it further with people who dedicate themselves to art, creative action and innovative fusion. •	Send a PDF to contact@arthouse-project.com including 3-5 pics of your work, a short description, your bio/CV/vita, website plus contact details. •	As a part of your application, send the confirmation of your payment of the EUR 25,- application fee. •	Upon receipt of the application – including the confirmation of your payment of the application fee – an email confirmation is given. You entered the application process. •	You will be notified about your participation until July, 24, 2017 the latest. application fee:	EUR 25,- This fee can not be refunded in the event of a refusal. Do not submit an application if you are unable to participate in person. •	Successful application: You are selected as one of the exhibiting artists. •	When your application is successful, the payment of the full participation fee is required before Monday 31st July 2017. •	Bring and hang/install/put your artwork on the set date. •	ART HOUSE PROJECT retains a 30% commission on the Retail Price (as set by you) for each artwork sold during the frame of the event TRANSFORM-ARTE. •	Be present. Get connected. Share your experiences. Participate. Challenge yourself and your surrounding. Be colourful. Turn Eisenstadt upside down. Be transform-arte. •	covers parts of the organizational costs as well as marketing/promotional activities. Either way, we invite you to share and communicate TRANSFORM-ARTE on your social media platforms, as well as through the posters you’ll be receiving. •	The payment of the full participation fee is required before Monday 31st July 2017. A delayed payment leads to loosing your participation. •	The participation fee is non-refundable if cancelled on your part. No exceptions. •	ART HOUSE PROJECT retains a 30% commission on the Retail Price (as set by you) for each artwork sold during the time frame of the event TRANSFORM-ARTE. •	All monetary transaction will be made through ART HOUSE PROJECT. •	The artist receives his/her part – 70 % of the earnings due to his/her sold artworks – within 3 weeks, on friday 22nd 2017 the latest. •	Provision of a (wall)space for each artist according to request to show the art work. If you are interested in becoming a member of ART HOUSE PROJECT, please check out the information below or on our website. • You receive reduced fees for the rental of premises. • You have an artist profile on the website of ART HOUSE PROJECT (www.arthouse-project.com → artists). You will be notified when accepted. After that the membership fee is due. Bank Information see below.